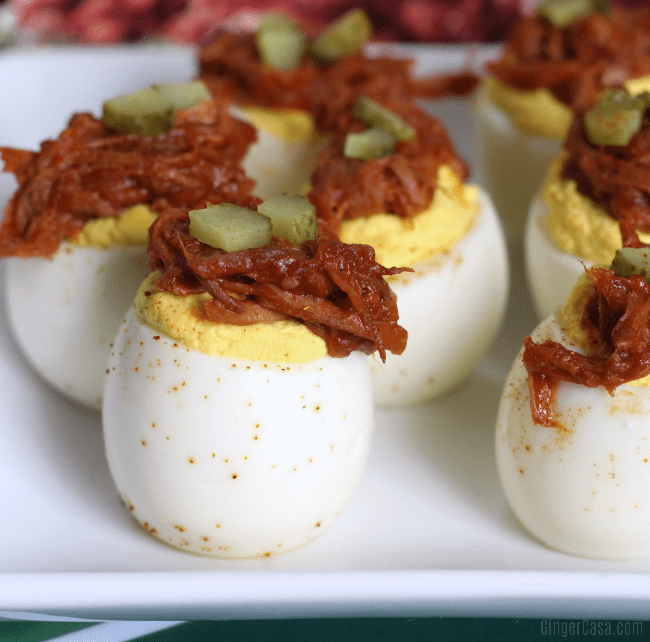 Pulled Pork Deviled Eggs - A Delicious, Winning Appetizer! 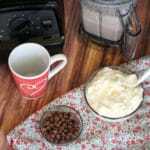 I love creating new recipes…fun new mash ups that take a traditional food over the top. Football watching parties are the best time to try out these new recipes because everyone is focused on the game. 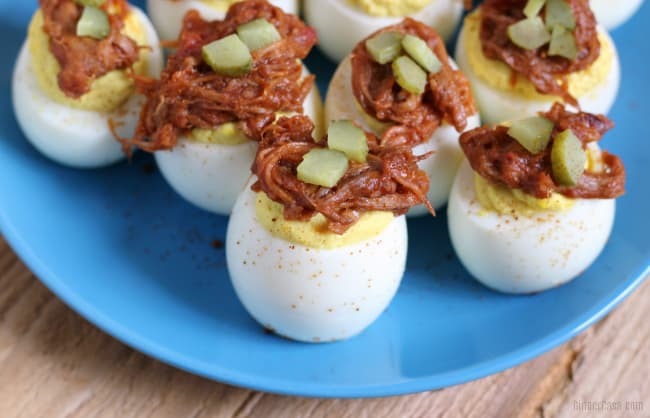 But when they take a bite of these delicious Pulled Pork Deviled Eggs, they are sure to stop what they are doing and comment on how DELICIOUS they are! 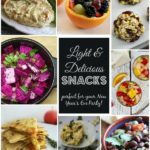 Big thanks to Curly’s for sponsoring this post and inspiring me to create these yummy appetizers! I love deviled eggs and since we have a steady supply of fresh eggs from our backyard chickens, this is a favorite dish to take to potlucks and football watching parties. I just upped my game with these little guys, though! Using precooked Curly’s West Coast Pulled Pork, (found in the refrigerated meat case at your favorite store,) I was able to throw this dish together quickly. I discovered that deviled eggs look fancier when you cut a tiny bit off one end and stand it up. 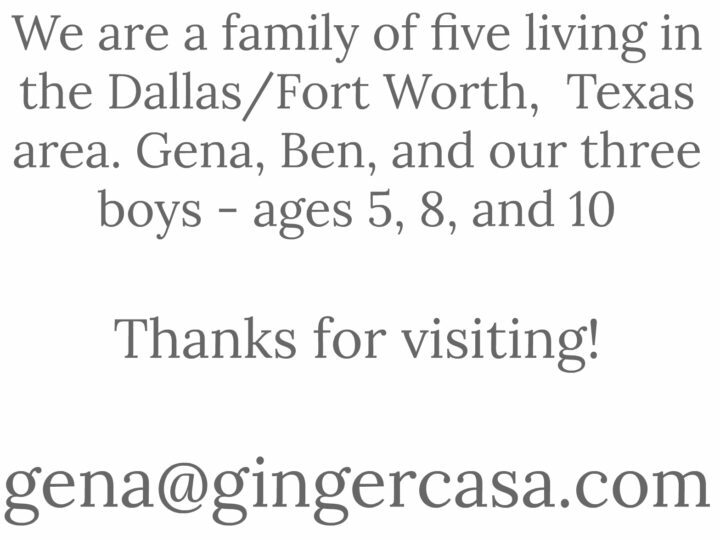 Well, I think it looks fancier. 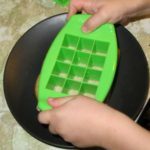 It makes it trickier to remove the egg yolk, but you can do it! Peel hard boiled eggs when cool and place on a paper towel to remove any excess water. Cut a tiny bit off of one end of the egg, so it can stand up. Cut about 1/3 off the other end and discard the tips. Using a small knife or spoon, remove the egg yolks carefully and place them in a bowl. Mix together egg yolks, mayo, mustard, salt, and pickle juice, 1/2 tsp at a time, until desired consistency is achieved. Meanwhile, heat Curly’s Pulled Pork in a saucepan on the stove top on medium. Place egg yolk mixture in a plastic baggie and cut off the tip. Carefully squeeze egg yolk mixture into each egg. When Curly’s Pulled Pork is warmed, dollop a bit atop each deviled egg. 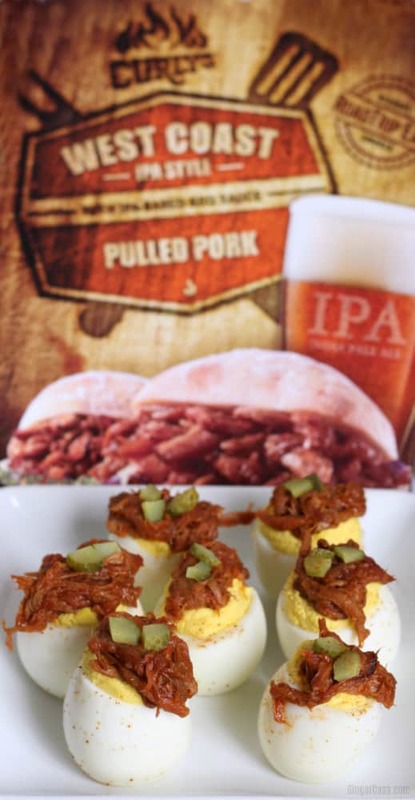 Complete the pulled pork deviled eggs with 2-4 chopped pickle pieces or pickle relish. What’s your favorite way to eat Curly’s Pulled Pork? Crowd pleaser for sure! Pinning! I would love to try these deviled eggs!! I love the addition of pork.